Our 2009 RRV Chardonnay is a true product of the vintage rather than defined by winemaking techniques; it was grown rather than ‘made’ and you can taste this in its lovely balance between fruit, acidity and texture – it’s a very harmonious wine. There is a vein of intense mineral sharpness that runs through the wine that is its defining feature. 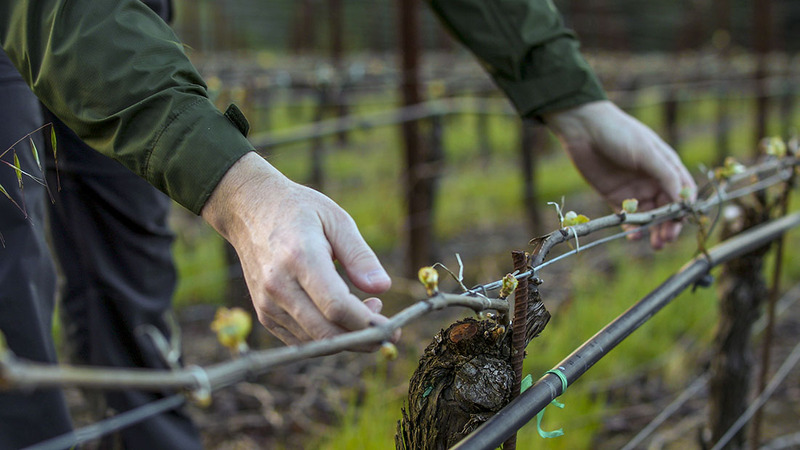 Naturally there is still plenty of Russian River fruit richness, but it has been shaped by this beautifully cool growing season to emphasize lingering vibrancy throughout the wine. For the first time a sizeable portion of the blend was grown in our DuMol Estate vineyard and it is this component that lends the flinty, smoky edge that is so intriguing. Most reminiscent of our 2000 RRV bottling, the wine is livelier and more focused than its 2008 predecessor with less overt richness, but greater precision of flavor. Its component parts read like a who’s who of celebrated chardonnay vineyards and you can taste this pedigree throughout the wine. If you favor fresh fruit intensity then drink within the first two years following release. The wine’s natural tendency toward hazelnut and honeyed richness typically asserts itself after three years of bottle maturity. This will be an intriguing wine to follow as it matures. Light green/yellow color. Intense grapefruit and lemon verbena aromas broaden to cantaloupe then baked apple with a trace of sea spray and hazelnut complexity. Ripe stone fruits dominate the palate entry with an edge of smoky flint then richer baked apple and subtle vanilla bean flavors. Highly focused and agile palate with great lingering mineral freshness and penetrating citrus acidity. An intriguing note of almond richness on the building finish. Serve at no cooler than 55 degrees. The wine’s appley, hazelnut core will gain even greater richness with three to five years in bottle.